Whether your school is starting out with PLCs or an old hand at it, this page will provide you with some additional readings and resources that may help to make PLCs as successful as possible. Here is an example of a PLC Handbook designed by Columbus County in the USA. The book below also contains online, free downloads / templates to use during PLC meetings. To visit the website, click on the book and scroll down to the 'Online Reproducibles' section. 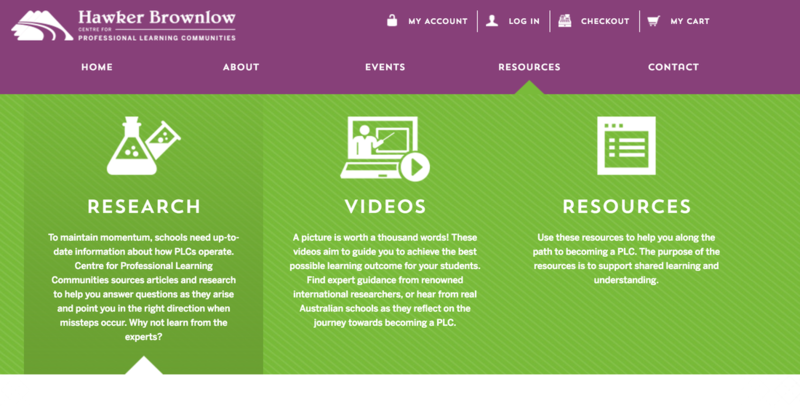 Hawker Brownlow & ASCD have a great section on their websites with FREE professional readings to get you started, videos and more! MORE RESOURCES AT BLUEPRINT K12! based on Eaker & DuFour. Great video for small focus groups to﻿ watch and discuss. The following documents are designed to help you plan your PLC meetings. It is a handy practice to map our your PLC meetings for a whole term. You may find that you deviate from the plan but at least you have a framework on which to base your journey. Remember these are not exemplar examples but base examples merely as a point of reference for you!